James Chan: The SCMP of 26th October 2015 contained an article which began: Hong Kong’s first locally designed electric bus will roll out onto the city’s roads next month in a test run its creators hope will boost the local electric vehicle industry. 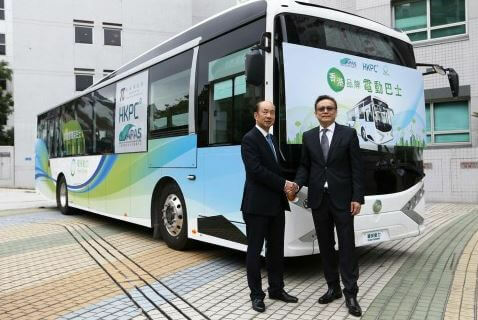 The 12.5-tonne single deck electric bus, designed by the Hong Kong Productivity Council and Hong Kong Automotive Parts and Accessory Systems’ Research and Development Centre, took two years to complete. Made of lightweight T6 grade aluminium alloy, it weighs 10 per cent less than existing electric buses, while its gear-free permanent magnet synchronous motor and lithium polymer battery help reduce battery usage.